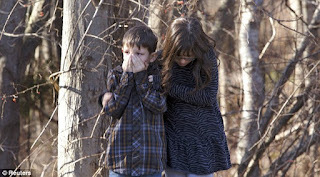 Keen Awareness: What can we Learn from the Tragedy at Sandy Hook Elementary? What can we Learn from the Tragedy at Sandy Hook Elementary? I personally cannot wrap my head around what happened today. How could someone shoot at innocent children? How could someone massacre the most precious amongst us? What happened in Newton, Connecticut has troubled me deeply. Yet after we morn we must reflect on why this has happened. This event has become one of many. There is a undercurrent of irrational madness that is pulsating through certain people to act in the most heinous of ways. And although some may not agree I need to state what I feel. This event, and those like it, are not just the outcome of "sick" people. These "sick" people do the things they do because they feel they are doing the "right" thing. Yes, people who take the lives of innocent people, especially children, are outrageously sick and troubled, but how and why did they become this way? How did this person justify such madness? We of course can make adjustments in gun control policy. And maybe that will change the number of deaths per gun assault, but that still will not change the brutality at the core of such events. The young man who took the innocent lives of those children was obviously sick, but why was he? Maybe his parents taught him that this brutality is normal. Maybe he was severely neglected as a child? Maye this or maybe that...The motive is not entirely important here. But what is important is that we observe how this event is reflective of where we have evolved as a society. I am not making excusing for this man. He is disgusting. But what I am also trying to say is that our social dysfunction is at the root of why this event took place [as well as the events that happened at Columbine, Virgina Tech, and Aurora, CO]. Do we ever question that paradigm that begets such tragedy? Has our survivalist way of life caused a disturbance in all of us that has us so desensitized? Has the psychological isolation that has us repressing our emotions come about due to a lack of a communal ethic between people? All I am trying to say is that these "isolated" bursts of brutal rage have to do with how we function socially. I am not saying I know how or why. We must all collectively discover that together. As I have said before... we can only heal together. There is a little darkness in all of us. I say that becuase at the social level we condone brutal war, the perverse inequality we see globally, and the mass murdering going on everywhere. We say it is "out of our hands" and our insensitivity condones this survivalist dog eat dog way of life. But when will we be brave enough to change our ways and make a stand? A brave awareness to see things as they are will help us move forward into a more peaceful co-existence becuase this brave awareness will open our sensitivity to life. This sensitivity will help us see what we are doing to each other, to ourselves, and to the Earth and upon the discovery of our own ignorance we will act with an enlightened sense of empathy. So I urge you to bring the light into the darkness. Bring the positive into the negative. You can do this by loving your neighbor, helping those who call out for it, and by getting more involved in your community. Give to those as if you have everything to give and let your fears subside. For it is the emotion of fear that begets all of the things that are messed up with the world. Greed, anger, and insensitivity are all products of fear and the the idea of not having enough. We need to transcend this survivalist mentality if we are finally going to have the society that we yearn for. Again, we may never know the full intention of why this man did this. His actions were the epitome of darkness, but we must observe the darkness that is inherent in this current society if we are going to see our way into the light. God bless the town of Newton, Conn, the children and families of Sandy Hook Elementary School, and to everyone reading this. May we find the strength and courage to walk a new path. My thoughts,and prayers go out to the victims relatives, who perished in this senseless tragedy.I don't have any kids,but I do so empathizes with the families of the victims. I started crying,thinking these poor babies,and the bravery of these teachers who tried to protect them by loosing there lives because of a disgruntle person.I had to turn away from it ,because I would of kept on crying.I still can't believe this happened. Sorry! for using your post to vent.